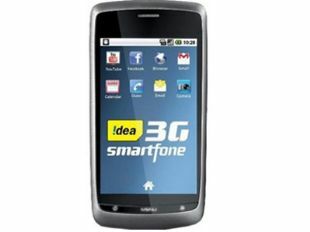 Idea Cellular Ltd. Monday launched a dual-SIM Android smartphone, the fourth addition to its 3G devices portfolio that it offers bundled with a mobile connection. Idea Aurus is priced at Rs 7,190 and will offer 3G benefits worth Rs 2,340 for Idea users who opt for a recharge of Rs 259, thus reducing the final cost of the phone to Rs 5,109. The Wifi and GPS enabled phone features a front for video calling and and a five mega-pixel back camera and comes pre-loaded with Idea TV, Idea mall, gravity sensor, built in Facebook, Twitter and Youtube. The telco is pitching Aurus to the youth and working professionals - who want to own high-end, feature rich yet inexpensive smartphones - as the cheapest mobile phone in the market that offers video calling facility. Idea Cellular chief marketing officer Sashi Shankar said,"3G is becoming an enabler in smaller towns which don't have good broadband access. Deep rooted mobile network and availability of affordable smartphones are making acceptance and adoption of 3G services faster in Tier 2 & 3 towns." The company has been targeting its existing 2G users to upgrade to 3G and adopted a strategy to proliferate 3G services into the educational, commercial and agricultural markets through services, applications and affordable smartphones.